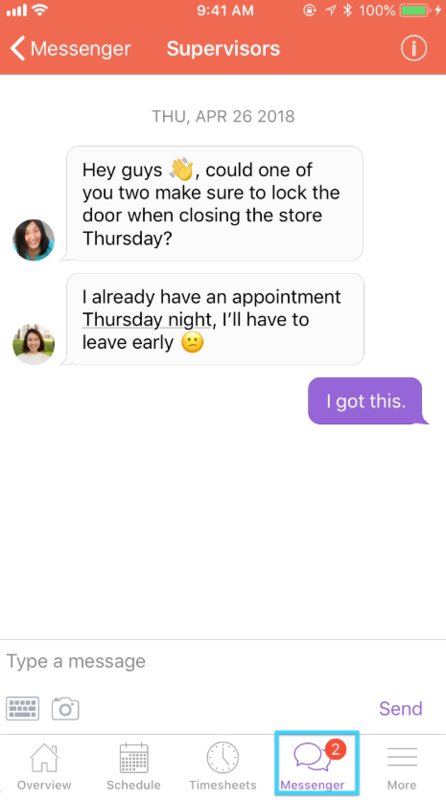 A) Why use Agendrix Messenger? Agendrix Messenger is an instant messaging service specifically designed to manage your company's communications. 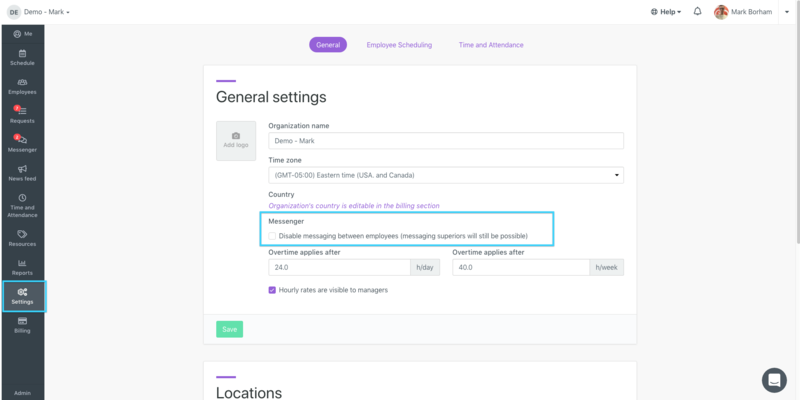 This chat module allows you to automatically connect the members of your organization without having to rely on your employee’s personal networks. This ensures more effective and professional communications on a daily basis. B) How to disable conversations between employees? By default, the Messenger module allows the members of your company to communicate with one another. To prevent employees from communicating with one another other:Click the "Settings" button on the left menu.Click the "General" tab.Uncheck the "Disable messaging between employees (messaging superiors will still be possible)" option under the Messenger section (see blue box). C) How does Agendrix Messenger work?